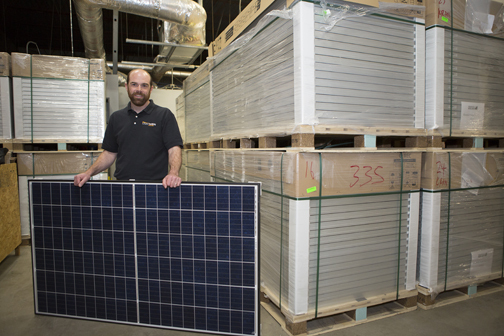 Chris Koczaja, president of Lightwave Solar, stands near stacks of solar panels in the warehouse. Lightwave began stockpiling panels when threatened aluminum and steel tariffs increased prices of raw materials. 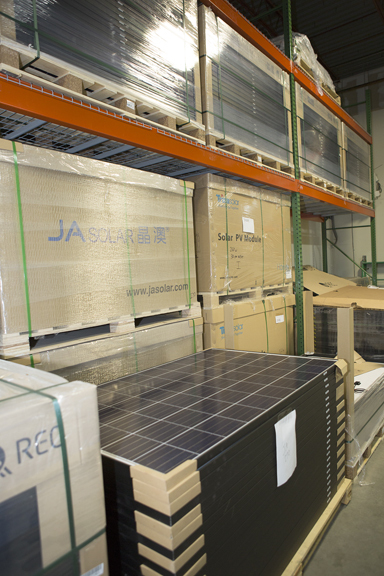 Boxes of solar panels sit in the Lightwave Solar warehouse.